Destiny Image Incorporated, 9780768409673, 208pp. 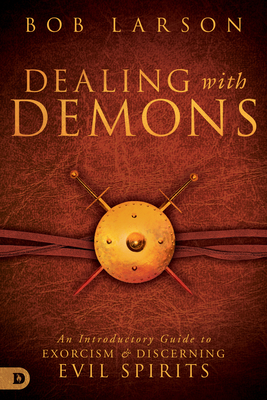 How Do You Know When You re Dealing with Demons? Though many of life's problems have natural causes, in the back of our minds there is one question that must be considered: Is it the devil? "How do you know if your problem is the result of life choices or a demonic influence?" "identify" the fingerprints of Satan: recognize common symptoms of the devil's involvement in someone's life. "get answers" to questions people are afraid to ask: can Christians be demon possessed; "can everyday life choices open doors to demons; how do I discern between natural problems and demonic ones?" "position yourself" for freedom: receive strategies to avoid Satan's deadly traps and walk under God's supernatural protection. Rev. Bob Larson is the world s foremost expert on supernatural phenomena. He has ministered in over 100 countries and has appeared on shows such as Oprah, The O Reilly Factor, Good Morning America, Nightline, CNN News, and Dr. Phil. Numerous networks have produced documentaries about Bob, and he has also been featured in major newspapers. He is the author of 34 books, which have been translated into more than a dozen languages, and is the founder of the online International School of Exorcism(r)."